There was actually a bit of rain today in central and northern California. 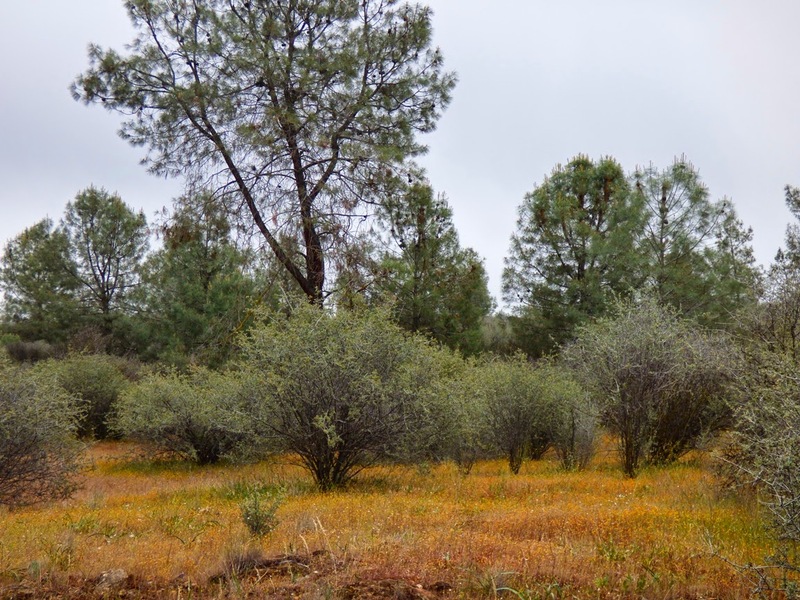 It wasn't much, barely getting the ground wet in the valley, and maybe a quarter of an inch in the Sierra Nevada foothills, but it was the first storm in many weeks, and there is a promising storm rolling in on Tuesday. Not a drought-breaker, but it will be one of the few cold arctic storms we've had all winter, expected to drop as much as foot of snow at higher elevations. Again, not nearly enough, but a brief respite from the unseasonably warm weather of the last two months. 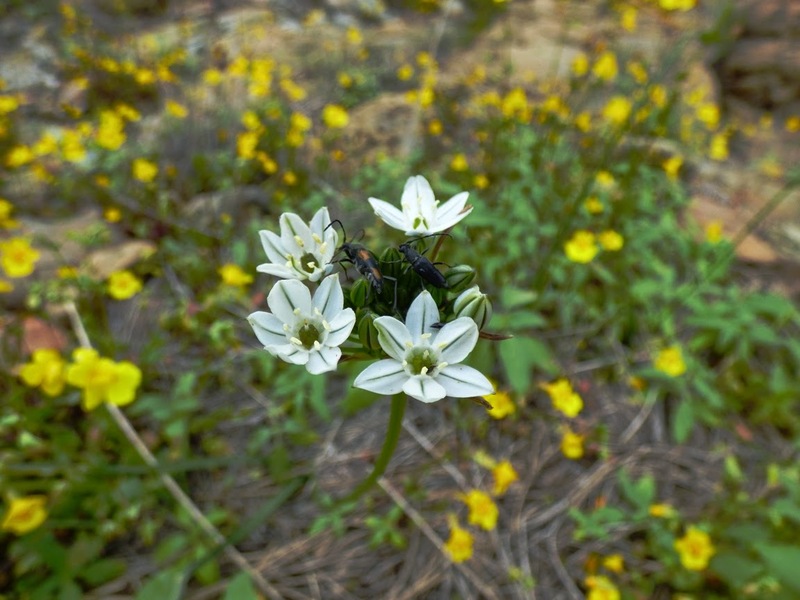 We headed into to the foothills for a brief look at the spring wildflowers. There weren't many expected, so we weren't disappointed, but there were a few patches here and there of color, and if I held the camera just right, it could look like a normal spring bloom. But the dryness lies beyond the edges of each flower picture. The Red Hills Area of Critical Environmental Concern is a several square mile area owned by the federal Bureau of Land Management. For years it was ignored, and used for dumping, shooting, and off-road vehicle travel. 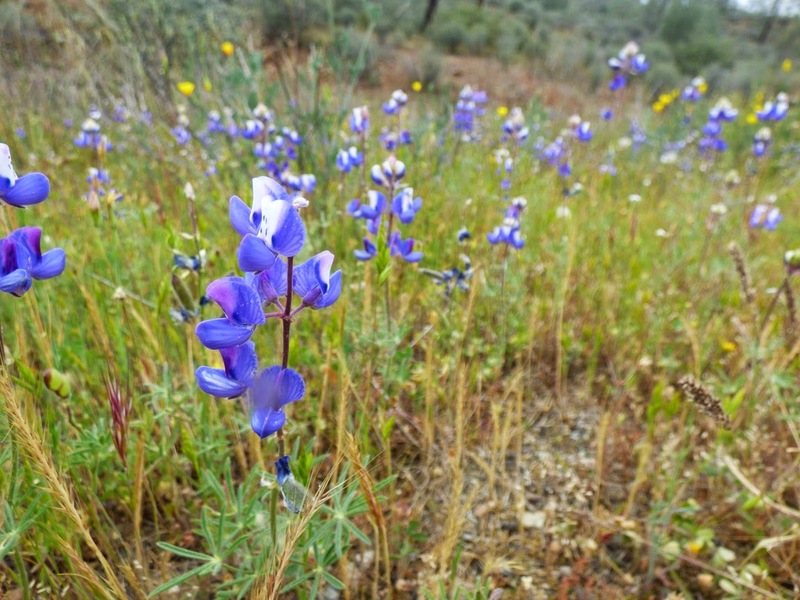 Somewhere along the line, someone realized that the serpentine soils of the "wasteland" were harboring a large number of rare and endemic species of plants and animals. The rock was the reason. Serpentine is the metamorphic product of peridotite, an olivine-rich rock more normally found deep in the Earth's mantle. When the rock weathers to soil, the soil is poor in some critical nutrients, and overly rich in some metals that most plants can't tolerate. 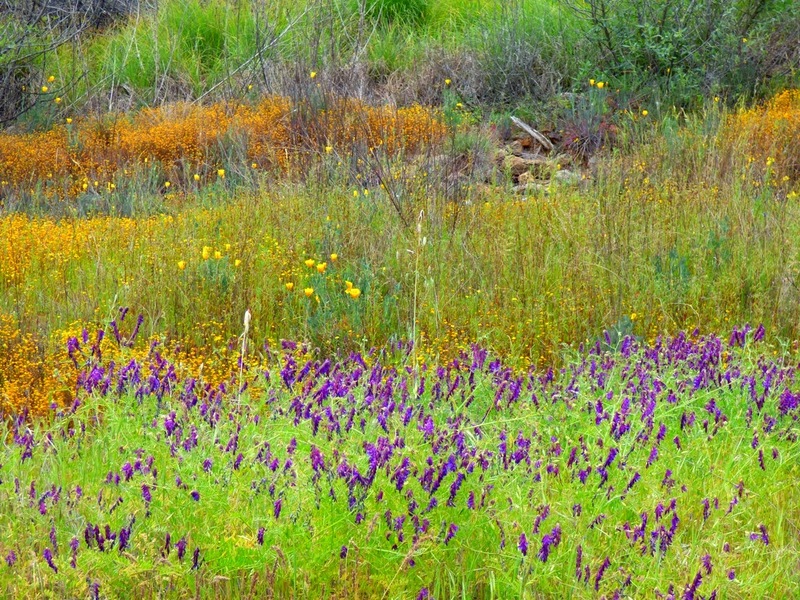 Among these plants are the invasive grasses that have overwhelmed many other ecosystems in California. Oaks don't grow well in the soils either. The lack of grass allows the serpentine-tolerant plants to thrive, at least when there is water. 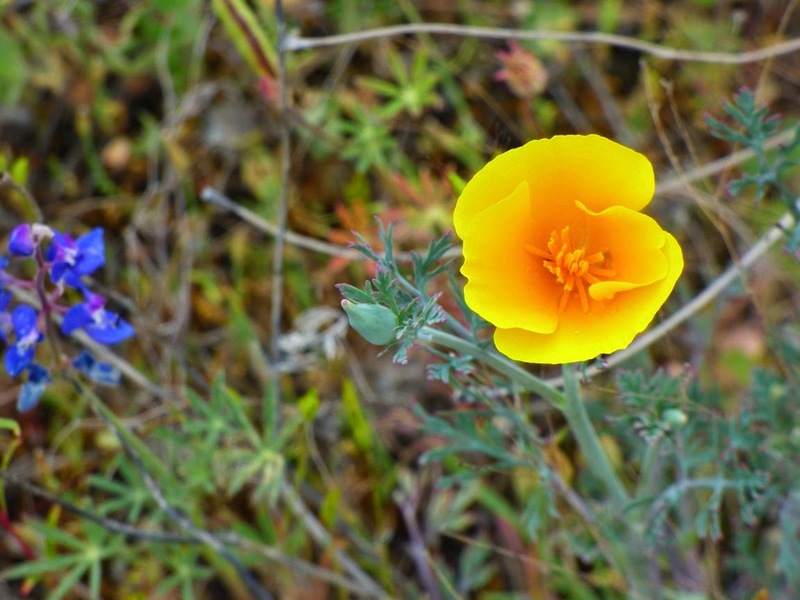 Golden Poppies and Monkey Flowers do especially well, along with several varieties of Lupine. 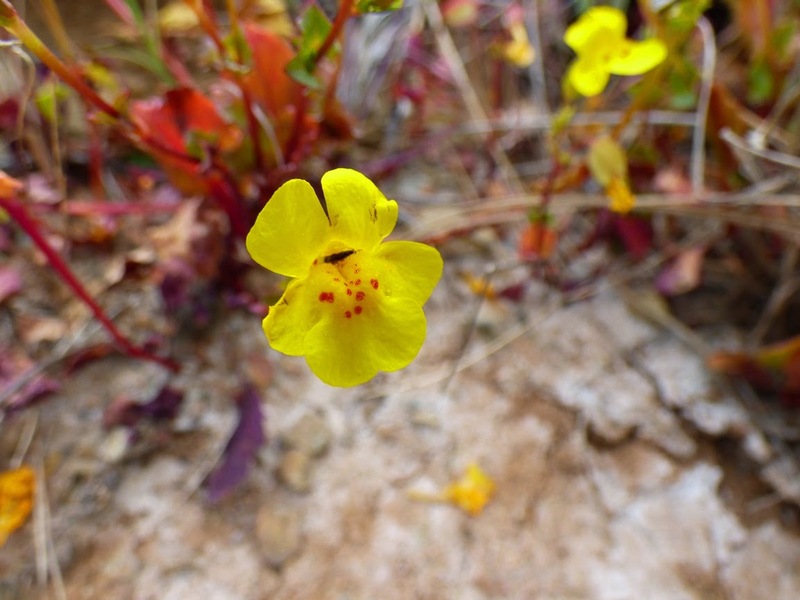 The soil was very dry and the few flowers that were able to bloom this year were already fading. I hope the big storm Tuesday helps a little. The bugs need a hand. Loved the post and great pics! Is this the Tuolumne ophiolite? 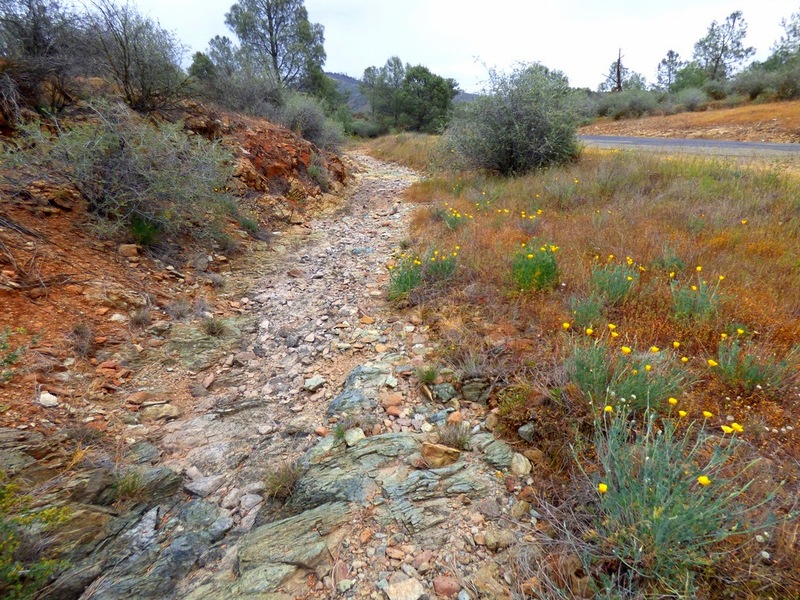 I've been looking at ultramafic rocks north of there in Calaveras county. I don't know if it is specifically part of the Tuolumne, but it is certainly mantle rock.